He created a restaurant in his dorm. Now, he’s graduating. Jonah Reider prepared a crispy leek dish. 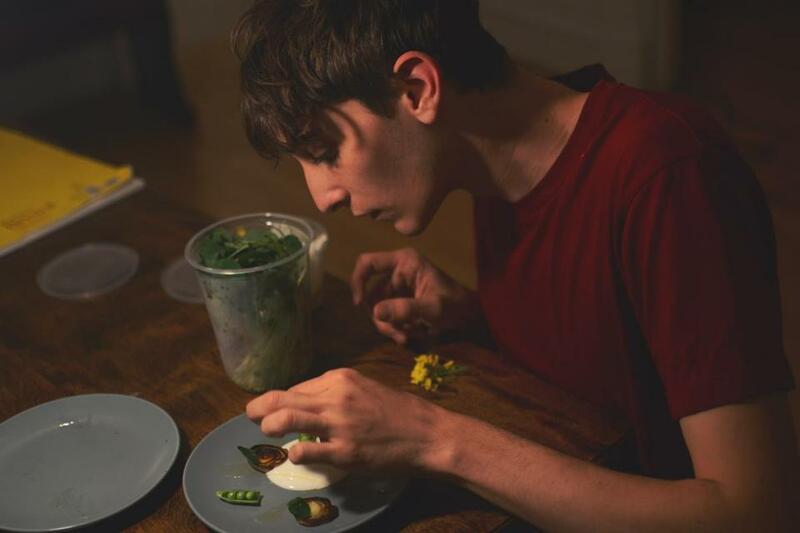 During the last eight months of his college career, Jonah Reider’s dorm-room supper club at Columbia University got more attention than many actual New York City restaurants. Despite having no formal training, the 22-year-old from Newton has made headlines, appeared on TV, and lined up a waiting list of 1,500 four-person requests for his dinners. Last fall, the senior started what he called a “faux-staurant,” Pith. Four times a week, Reider prepared five- to eight-course meals in a tiny kitchen, promoting them on a website. Hungry patrons arrived to share a meal. He charged $15, enough to cover ingredients. The life of a dorm chef is not always simple. After the university administration sent several letters and held meetings asking Reider to shut Pith down, according to Reider, he moved out in December and subleased an off-campus apartment managed by the university. Less than a month before graduation, Reider says, school officials forced his landlord to end that lease early, after the oven in the apartment was found to be leaking gas. University officials did not return requests for comment. Maybe it was the exclusivity that drew diners. Maybe it was the appeal of a home-cooked meal. Reider grew up in a family that loved to cook. At Newton South High School, he started a grill club with friends, which consisted of a George Foreman Grill on the school lawn, a long extension cord, and ground beef. The fire department shut the club down. Now he’s looking for new opportunities. On May 16, he collaborated with Juilliard-trained composer Ricardo Romaneiro on a “sonic and gustatory” experience at the American Irish Historical Society in Manhattan. The artists served “sound bites” — dishes concocted by Reider, with synthesizer music by Romaneiro to accompany the tastes. He was also the May artist-in-residence at FRONT Art Space in Tribeca, which claims to be New York City’s smallest art gallery. Each week, he appeared in an exhibit called “Relational Gastronomy,” which fit two guests. As busy pedestrians walked by, he invited people to take a load off, offered a cup of tea, and prepared them snacks such as caramelized banana frozen custard with a saffron-pistachio toffee.